I just watched this Netfix special and have a completely new appreciation for Gaga’s heart and soul. Her talent is undeniable, but it is in her journey over the last decade with her autoimmune disease, Lupus, that is the message in this documentary. 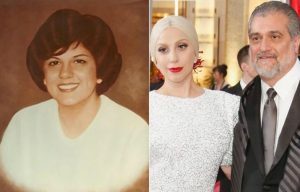 Gaga’s number one focus is her family and friends. Without their support, her rise would have been much more difficult. Because she has the means to get the help she needs, she manages her Lupus, a disease that took her aunts life at age 19. This was before a diagnosis was known for the condition. Her aunt was a talented artist, who developed painful lesions on her hands. The doctors wanted to amputate them (that was a typical option back then when they didn’t know what else to do). But because her grandmother knew her daughter wouldn’t want to live that way, she refused and instead went to the hospital chapel to pray to God to take her to heaven where she’d be happy. She died shortly thereafter. And she lives on in her talented niece. This also was the inspiration for Gaga’s album “Joanne,” a gift to her father and grandmother. It was a far-cry from her previous albums and one she thought may not be well-received. It went #1 worldwide. She performed the tribute to her aunt at the 2018 Grammy’s. The love of those around her was evident in the film. Throughout, she talks about all her struggles to be a known and respected artist. Living in a “man’s world,” at the diminutive height of 5 foot 2, she made her voice even louder to be heard. When surrounded by powerful, ego-driven men, who could have anything they desired, she too sometimes got caught up in their world. Now that she has turned thirty, she says she has finally come into her own and does not find a need to diminish her own voice. She loves herself and who she’s becoming. Bravo Lady Gaga! You have given that voice to multitudes of women all over the planet. Music is a natural healer. Your struggles give others who struggle, hope! And to think, you are just getting started, now that your “”woman-ness” is in full view. The future is yours. And we thank you.